Don’t risk investing if you don’t have the capability and maturity to do so! Businesses have spent up to hundreds and thousands of dollars investing in a software testing tool solution that would never really get off the ground. Weeks and months of analysis but all to no avail. Why would your organisation end up in this unfortunate position? The simple answer lies with the person being tasked with the job to determine and recommend the tool solutions. The biggest mistake is that the person responsible for carrying out the ‘proof of concept’ may not be well equipped or have limited experience, knowledge and expertise to perform these types of tool assessment, let alone making a confident recommendation and endorsement to management. Sadly, the sales person from the Vendor will take over emotionally and will convincingly close off the deal. This is where things starts to go ‘pear’ shaped. No clear tool strategy to support actual (current) testing framework. Suddenly there is a push to hire new resources to support the tool. They come on board and due to lack of governance and clear test strategy, their effort will divert further. It’s not too late. We have been called in many times as a ‘rescue team’ to help our clients make up on lost time and cost. Leave this task to us. We are the experts and have deployed many enterprise test management systems to clients ranging from small start-ups to corporations. 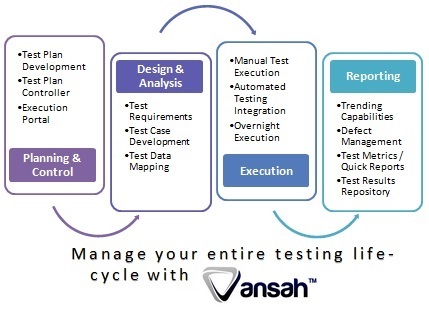 We will work with you to ensure the tool solution you will invest in will support your test strategy and maturity.